Join Jamie in SOCal’s surf central for special classes of strong powerful pilates designed with surfers in mind. How often do we wish that we had discovered the wonders of Pilates much sooner? Imagine the possibilities if we could bring an awareness to balance, alignment and movement to our children. This workshop explores the modern man, and helps us to discover not only new and exciting exercises to keep the male client challenged and engaged, but also ways to make your studio less intimidating and more appealing to today’s man. Get them through the door and coming back for more, with tips and strategies on attracting men to your studio, informed teaching of male clients, across all studio apparatus, and how to turn this new and profitable client base into a loyal and consistent part of your studio’s community. Jamie has presented a variety of topics and subjects in many countries. 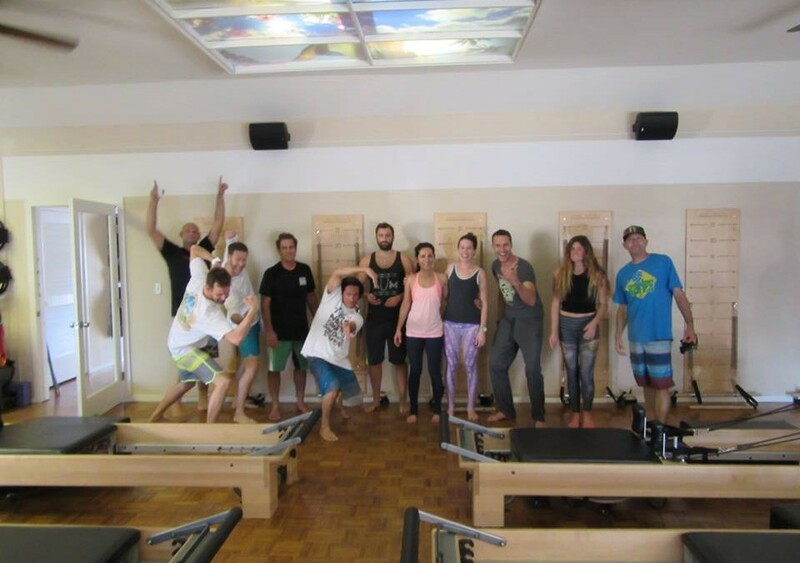 His specialist areas are Pilates for Surfers, Pilates for kids (Playful Pilates), Pilates for balance and extreme sports, and other specialist workshops. He also presents a fun and interactive workshop on the many aspects of teaching Pilates to men (Real Men Do Pilates). He is always keen to introduce themes and concepts around these areas that may not have been addressed before. Jamie will also be presenting workshops in London, Scotland, and Spain. Dates TBC. His workshops are interactive and informative and draw from his many years experience. As well as being known in many studios, Jamie is a regular presenter at London’s Om Yoga show, and will be presenting at this year’s Pilates Empowerment Summit, in Miami.